To celebrate the launch of The Evil Within 2 this Friday, Bethesda is kicking off a fundraising campaign to help support the efforts of the American Red Cross. Dubbed “The Good Within,” this campaign will run through the month of October, and Bethesda will match all donations up to $15,000. Tap into The Good Within and help us raise money for the Red Cross disaster relief efforts and humanitarian aid around the world. To be part of The Good Within, head to the official donation site. You can choose to donate money to support the Red Cross as a whole or select a specific cause you would like your donation to go toward. Any money you choose to donate will go directly to the Red Cross. Bethesda is also partnering with select streamers who will be playing The Evil Within 2 prior to its release to help drive awareness of the cause. See the full schedule of streams in the table below. Click each streamer's name to be taken to their channels. 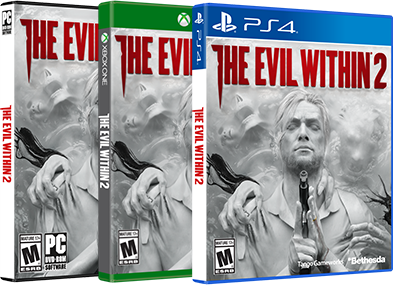 Share your support on Twitter, Facebook and Instagram with #TheGoodWithin for a chance to win an Evil Within 2 prize pack.